So… no posts for a month, then two today… oh well. 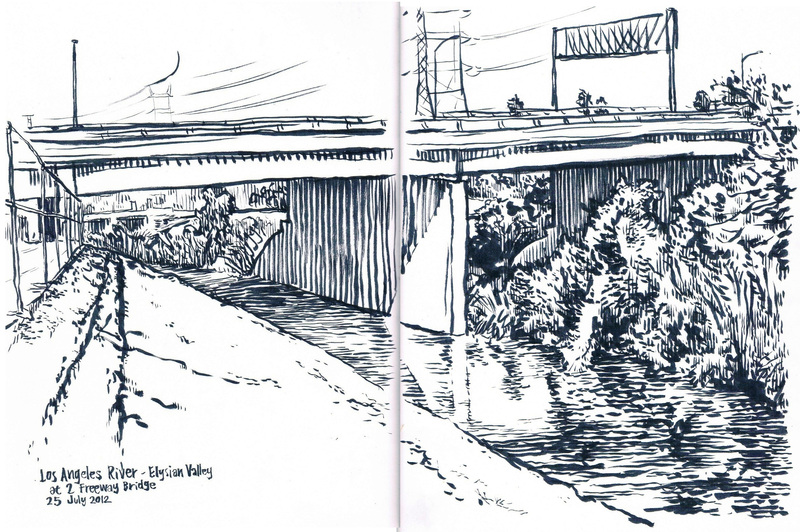 On my way bicycling back from this morning’s groundbreaking, I stopped to do a river sketch. It’s in Elysian Valley, looking upstream toward the 2 Freeway Bridge. Note that I typically do a lot of vertical hatching, but when there’s water, the horizontal hatching is called for. More of my river drawings in my book, at my art show (up through August 15th 2012) and at my art blog. Great to see other folks out spending time, observing, and being inspired by the mighty Los Angeles. 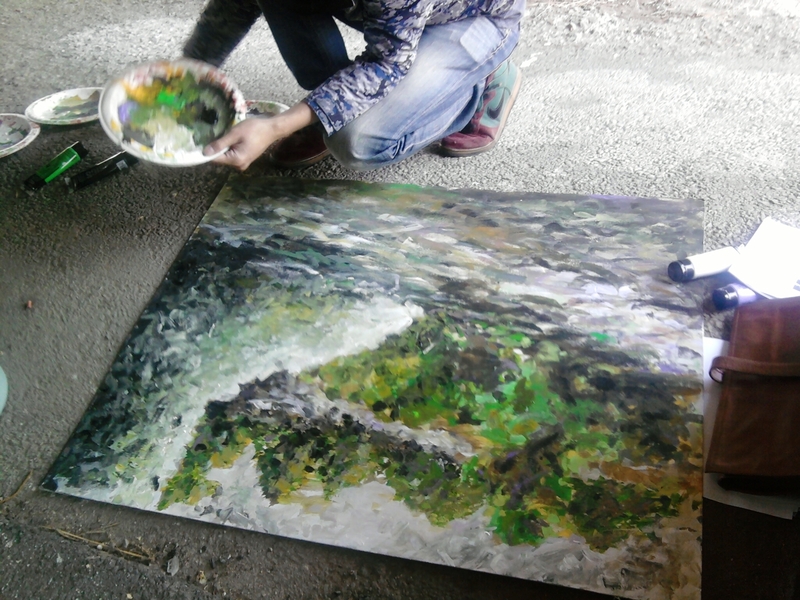 And for some really good L.A. River paintings, see Akiko Crawford’s pieces! That’s very nice… and I like the poster announcing your art show, too. 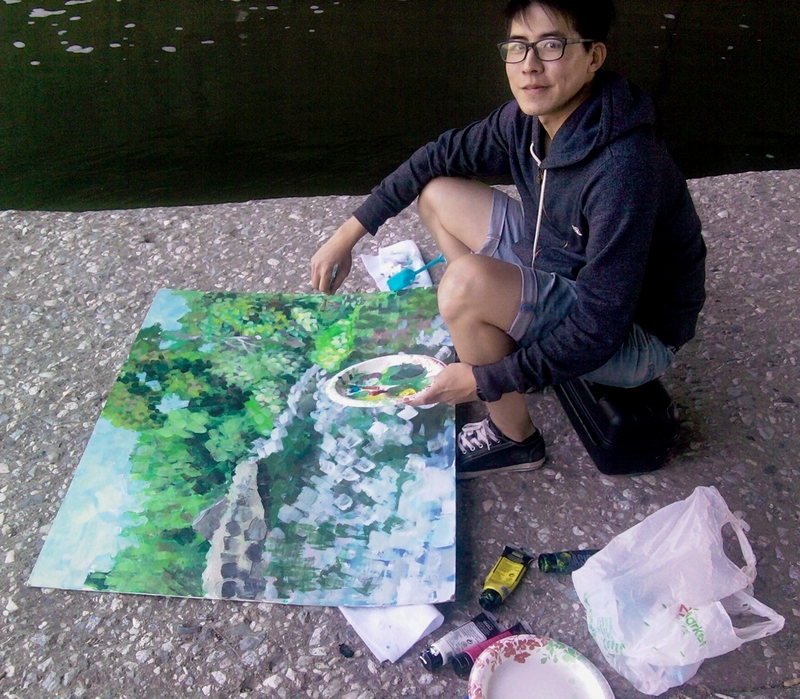 I like them art of tha LA River! Well done Mr. Joe and Otis art students!! 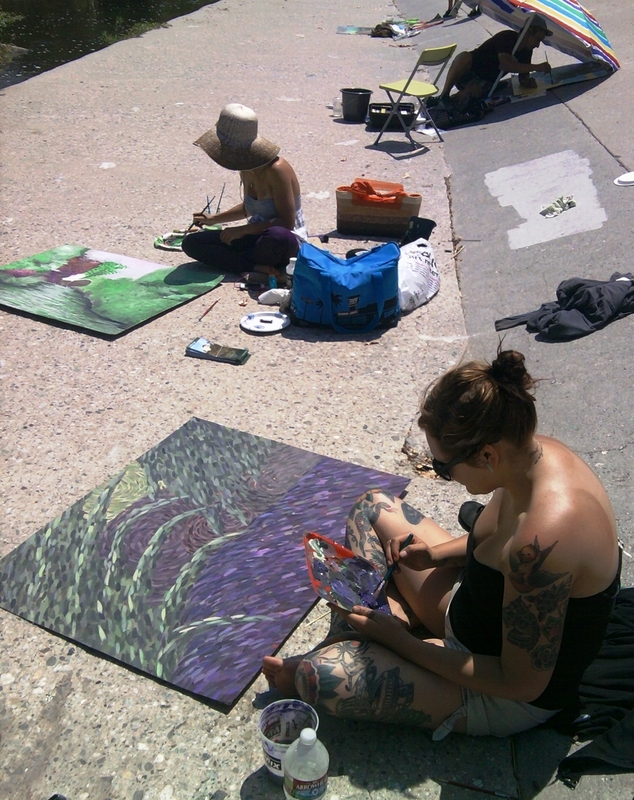 You are currently reading This Morning’s L.A. River Art at L.A. Creek Freak.